With Fathers day coming up next month, we are all going to be looking for a gift. 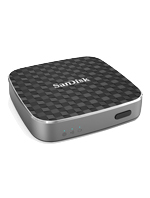 There is no better gift then San Disk,everyone can use some extra memory and in this home we sure can. 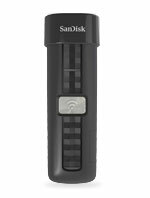 SanDisk Connect Wireless Flash Drive this is a great 64 GB of storage space to your iPad, iPhone, Kindle Fire, and Android device. Portable and easy to use, the drive gives you wireless mobile access to your movies, photos, music, and documents. You can wirelessly connect up to 8 devices and stream media to as many as 3 devices simultaneously without the need for an Internet connection. We have all of these and are always running out of room,for games and movies. My son has his own Ipad and he has games on it that he plays, and this will be great to add some more room to it,and my husband plays games on his Iphone so this would come in handy for him too. Store and Stream HD Content Across Your Mobile Devices is another one of the best devices too, any one of these awesome things will come in handy for anyone. These are some great ideas, and I am sure any dad would be happy to get. Ideal for family vacations and rainy days, the Wireless Media Drive is the perfect pocket-sized entertainment device that streams high-definition movies, photos, and music on tablets, smartphones, and computers . It also includes an SDHC/SDXC card slot for instant sharing of those awesome birthday pictures and videos you just took on your digital camera with friends and family. ** And with up to 8 hours of continuous streaming per charge, it will keep the whole family entertained longer, this would be good to store all of the pictures we take and have taken. With us going on vacation this week, I will be taken plenty of pictures of our adventures. Transfer Files Easily from Your Smartphone or Tablet, this something everyone can use. With people who change-up their computers for new ones, a much easier way to move all of your files. 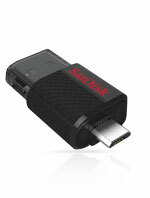 Using the SanDisk Ultra Dual USB Drive, you can easily move files from your Android smart phone or tablet to your computer, freeing up space for music, photos, or HD videos. The drive has a micro-USB connector on one end and a USB 2.0 connector on the other, making file transfers a breeze, and it can store up to 64GB of data. The SanDisk Memory Zone app, available through Google Play™, allows you to manage, organize, and back up files. This is something I would want to use to keep files and things off my Ipad or Iphone. We tend to do a lot from those things and save a lot of pictures and other important things.